Yesterday was stem cell awareness day. 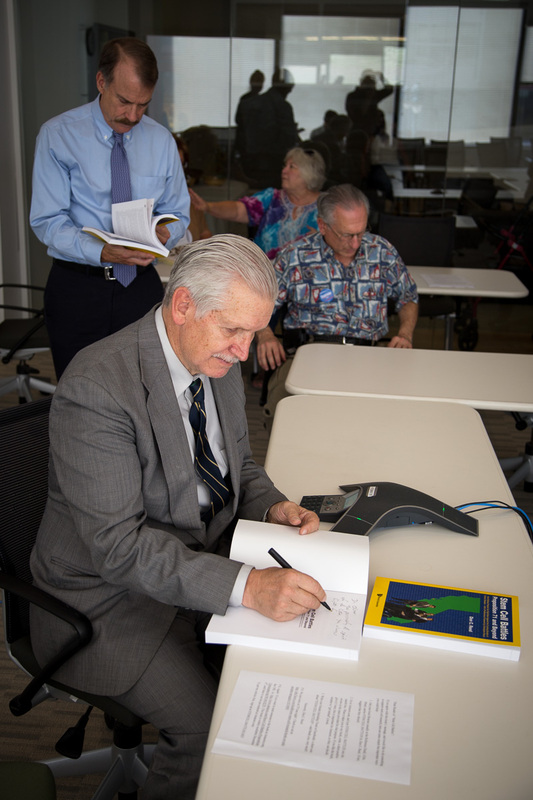 In honor of this important event, Don Reed held a book reading at CIRM for his newly released book, STEM CELL BATTLES: Proposition 71 and Beyond: How Ordinary People Can Fight Back Against the Crushing Burden of Chronic Disease. Don has worn many hats during his life. He’s been a power lifter, a diver at Sea World, and is one of California’s most tenacious stem cell research advocates. His stem cell journey began when his son, Roman Reed, was seriously injured in a football accident, leaving him mostly paralyzed from the neck down. Both Don and Roman didn’t let this tragic event ruin their lives or steal their hope. In fact, both Don and his son were instrumental for getting proposition 71 to pass, leading to the birth of CIRM and new hope for patients with uncured diseases. 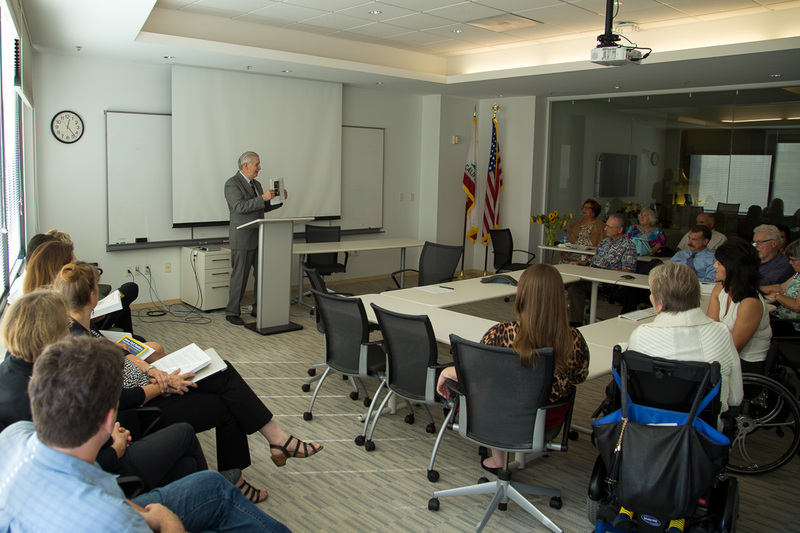 At yesterday’s book reading, Don chronicled the early battles to get human stem cell research off the ground in California, the progress that’s been made so far and the promise for future therapies. It was truly an inspiring event, bringing together patients, friends of Don and his wife Gloria, and CIRM scientists to celebrate the stem cell research accomplishments of the past ten years. Enjoy more pictures of the event below and a short video of Jonathan Thomas, Chair of the Governing Board of CIRM, who said a few words in praise of Don Reed’s efforts to fight for stem cell research in California. 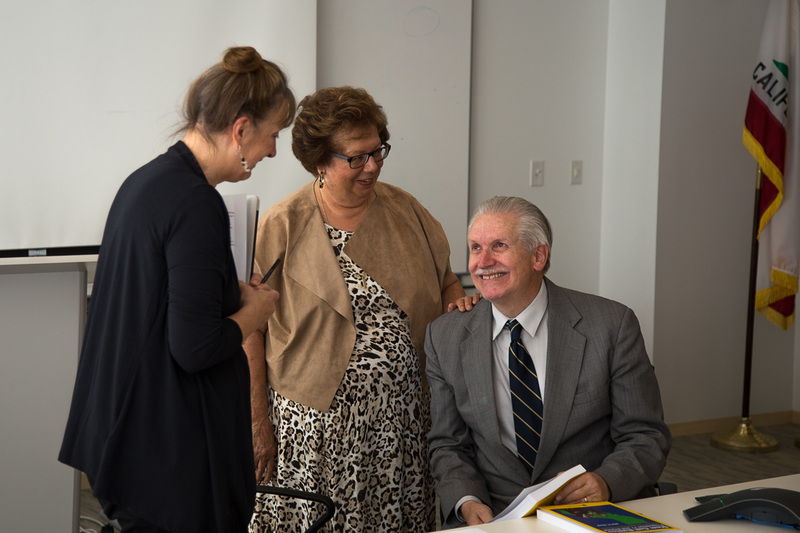 Don Reed and his wife Gloria share a smile with CIRM’s Pat Olson. Jonathan Thomas and Don Reed. ← Happy Stem Cell Awareness Day! Thank you so much for the beautiful piece in Stem Cellar– I feel such beautiful memories looking at the people and the lovely goldfish bowl… Thank you! 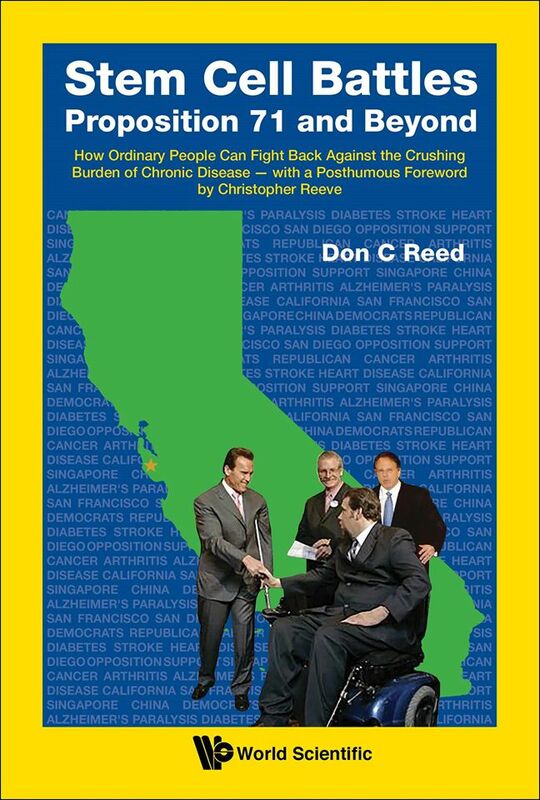 Don C. Reed Sponsor, Roman Reed Spinal Cord Injury Research Act Founder and Co-Chair, Californians for Cures friend me at: https://www.facebook.com/pages/Stem-Cell-Battles-Proposition-71-and-Beyond/1641012769443938 Author of forthcoming book, STEM CELL BATTLES: Proposition 71 and Beyond–for information go to: http://www.worldscientific.com/worldscibooks/10.1142/9255.html Don Reed is also Vice President of Public Policy for Americans for Cures Foundation; opinions voiced here as an individual may or may not reflect those of the Foundation. The California stem cell program is the pride of a state, the glory of our nation, and a friend to all the world. My book is a small thank you to the women and men who fight to end chronic disease. It was a glorious Stem Cell Awareness Day and this lovely article by Karen Ring really captures the spirit of the day.